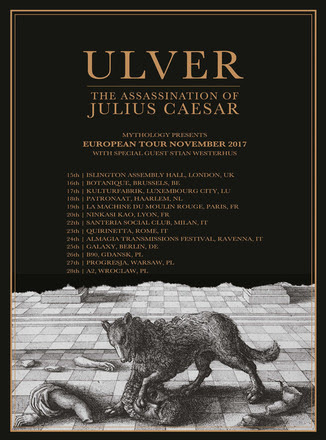 In April of 2017, Ulver released a chilling synthesizer-driven beauty of an LP titled, The Assassination of Julius Caesar, which brought to mind some understandable comparisons, the most prominent and obvious, in my mind anyway, being Depeche Mode. 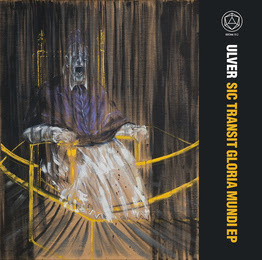 As if to validate this comparison, a new three-song EP from the band surfaced called Sic Transit Gloria Mundi, itself also an electronically robust and somewhat morose new offering that features two songs that weren't quite ready for inclusion in Julius Caesar and a cover of "Power Of Love" by Frankie Goes To Hollywood. Videos were also developed to accompany the two original tracks, "Echo Chamber (Room Of Tears)" and "Bring Out Your Dead." Links for the videos can be found here and here, or in the album info I've posted. Interested? You can listen below via Ulver's Bandcamp and, if so inclined, buy the EP now digitally or wait until physical copies emerge. Music, links, and info come courtesy of Rarely Unable. 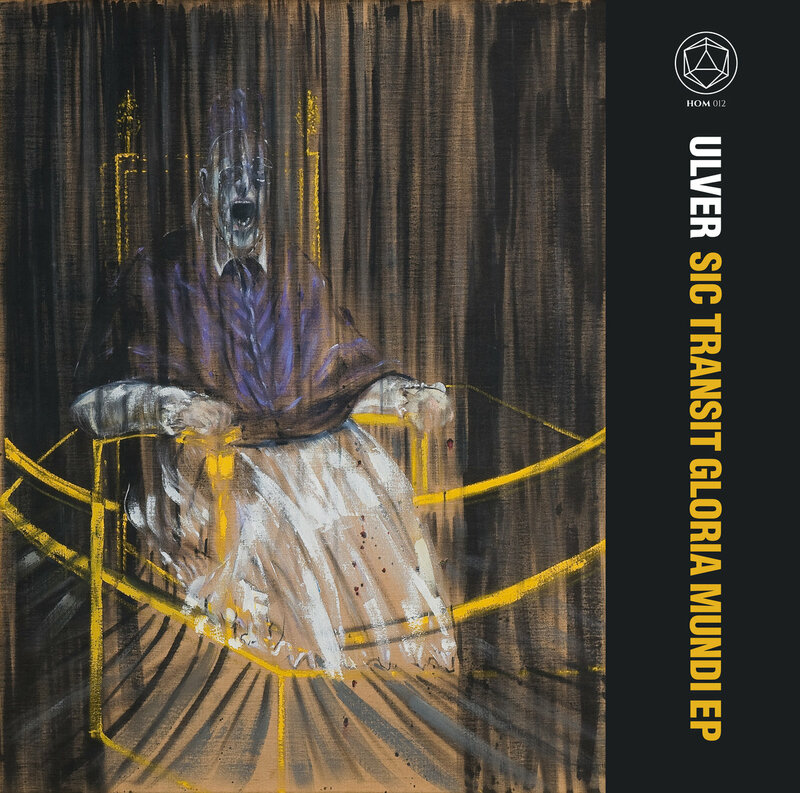 Ulver have just surprise-released a three track EP entitled Sic Transit Gloria Mundi. The news arrives just as the band are about to embark on their European "The Assassination of Julius Caesar" tour. Sic Transit Gloria Mundi EP marks “the sad remains from the Caesarean banquet.” Comprised of two new songs, and including a cover of a Frankie’s monumental “Power of Love”. The EP was recently completed in their new studio in the old town of Oslo, and sent off to Youth's in London for imperial sound quality. David Hall and Vivek Venkatesh have worked on the videos to two songs, using footage from Ulver's concert at the Labirinto della Masone, in Italy, on June 3rd. Spectacular laser displays are supplied by Birk Nygaard/BN Visuals, who shall also join the band on their European tour throughout November. AND "BRING OUT YOUR DEAD"
The cover of the EP shows Francis Bacon's Study After Velásquez's Portrait of Pope Innocent X (1953), used with kind permission of Des Moines Art Center. Design by Paschalis Zervas, +wolframgrafik. The Assassination Of Julius Caesar was released in April this year via House Of Mythology. Even those familiar with this stubborn pack of wolves from Oslo were surprised to hear them shifting shape, into what they define as “their pop album”, and many embraced it, with the record receiving accolades the world over, and appearing at #1 in the synthpop Album Of The Year listings.